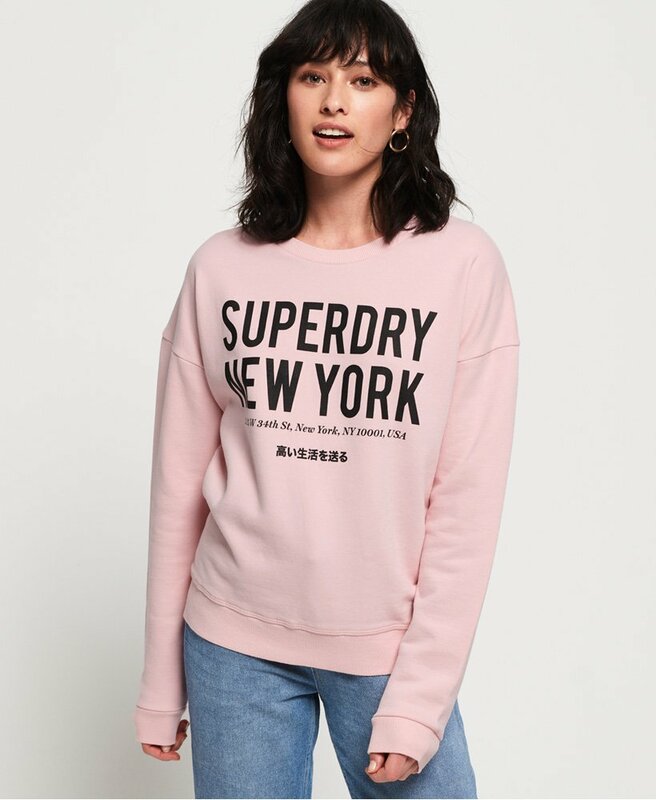 Superdry women's Yasmine crew sweatshirt. With a soft brushed inner that feels luxuriously soft against the skin, this sweatshirt will soon become a wardrobe staple. The Yasmine crew sweatshirt features a crew neckline, ribbed trims and a Scandinavian inspired Superdry logo graphic across the chest. Completed with a Superdry logo tab above the hem, this sweatshirt would look great paired with jeans for a casual look.